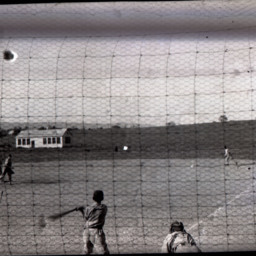 Photograph showing unidentified children playing a baseball game. 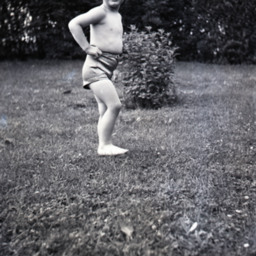 The location of this park is unknown. 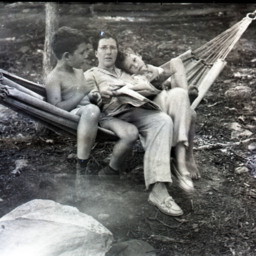 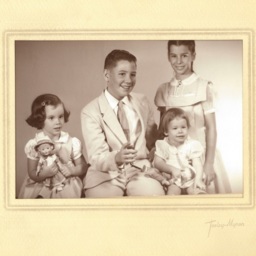 Photograph showing an unidentified woman and two unidentified children on a hammock. 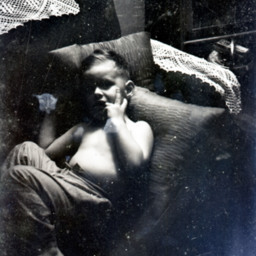 Photograph showing an unidentified boy laying on a couch. 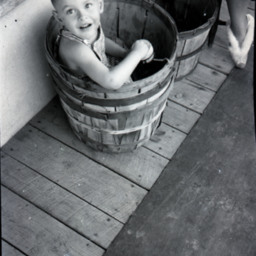 Photograph showing an unidentified boy in a bushel basket. 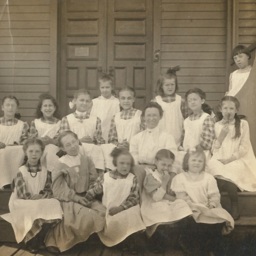 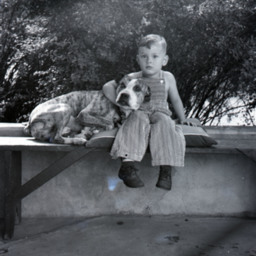 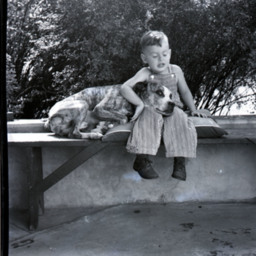 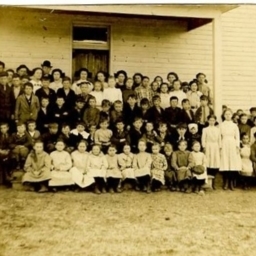 Photograph showing an unidentified child. 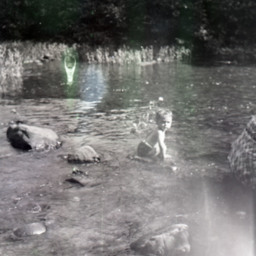 Photograph showing an unidentified child swimming in a body of water.